We had the most magical experience at the Ballet Met this weekend and it was perfectly timed since ballerinas have been on Charlie's mind non stop for the last couple months. Angelina Ballerina is on a constant Netflix rotation, the tutu is the daily attire, and I am judging pirouettes and pliés aplenty. 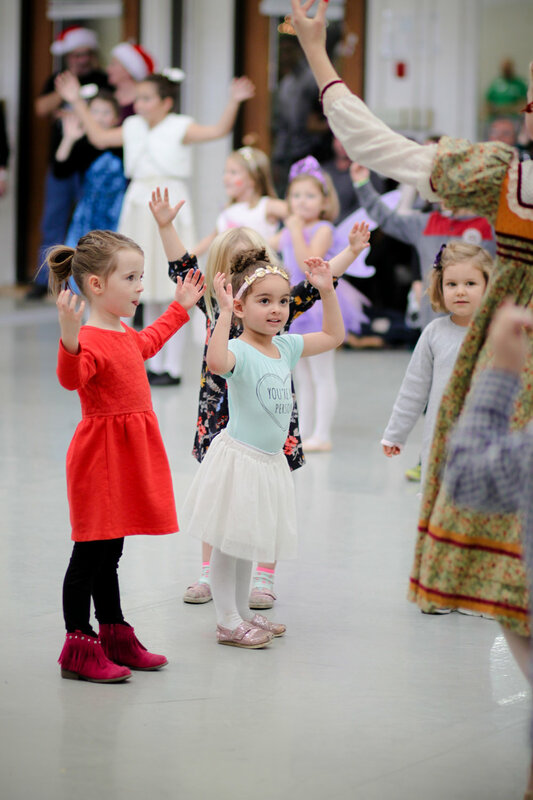 How lucky to discover the annual Dancing With The Nutcracker event hosted by the BalletMet Columbus. This event was completely free with a donation to Faith Mission through the Discovery District Civic Association. First things first, we got our picture taken with the life size Nutcracker! From there we went into one of the studios that was set up with coloring, tattoos, an ornament craft, and a real ballerina costume to see up close! We spent about 30 minutes in here while we waited for the first session to end. Two times of noon and 1 p.m were offered and we chose the 1 p.m.
Fun with coloring and crafts in the studio! Once it was our turn to enter the studio where the main event was being held, we scrambled to find a seat on the floor and wait for the excitement to begin. There is essentially no bad seat as the dancers move all over the floor. 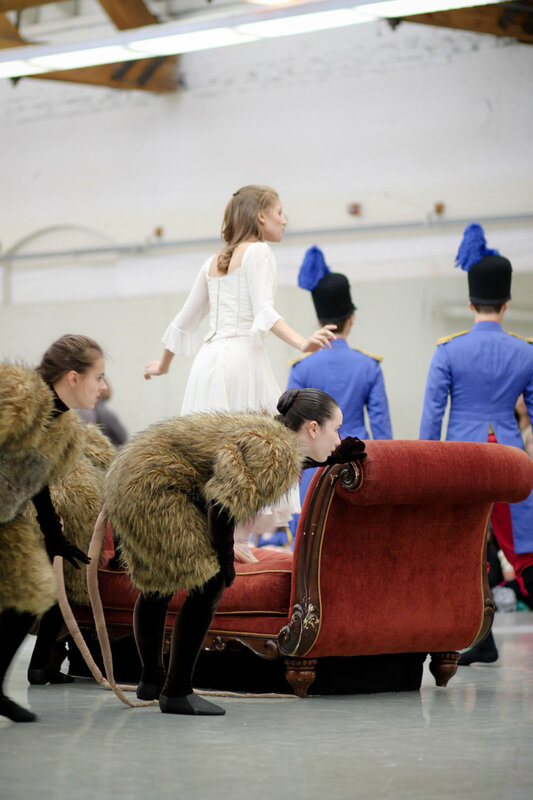 Ballet students were positioned all throughout the studio to help lead the children in the various dance routines that allowed them to actually participate in the Nutcracker story. The participation by the children is hands down the best part of this whole experience. 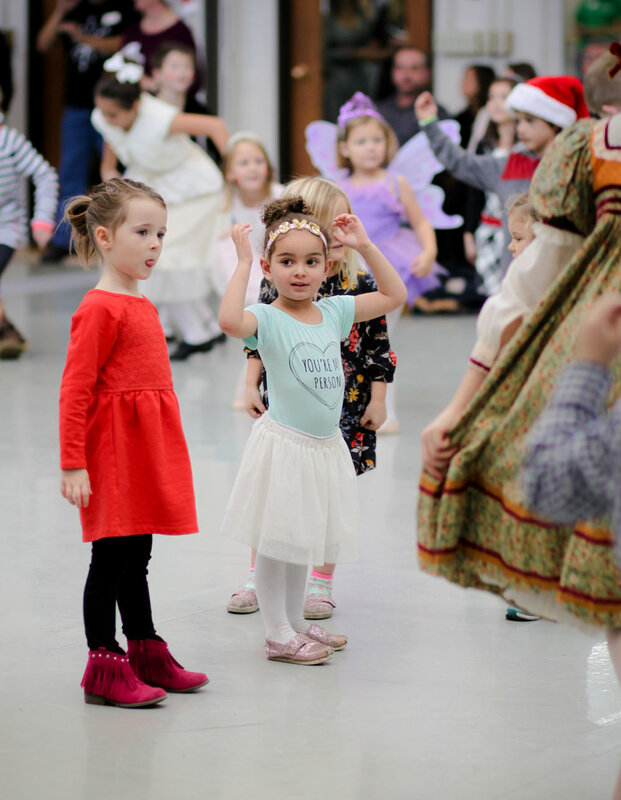 The event is structured like a Nutcracker story time where the narrator takes the children through the story, and teaches them the little participation dances before the professionals perform excerpts from the actual ballet. Afterwards we had some photo ops with the dancers and were able to retrieve our discounted Nutcracker tickets for the official performances in December. I can't get over how special this experience was and what an incredible sneak peek into a lovely Christmas tradition. Our whole family always has an amazing time with the Columbus Symphony Orchestra and their Popcorn Pops / Concert for Kids. I am delighted to have been able to introduce the children to another aspect of the fine arts and be able to experience it up close! With Charlie turning three next month, I can't wait to get her started in the Mini Mover's class that the company offers. Maybe she won't grow up to be a prima ballerina but you can't not furnish the delight a little girl has about ballet while it lasts. Not to mention it is an extraordinary gateway into the world of art, classical music, rhythm, and creativity. 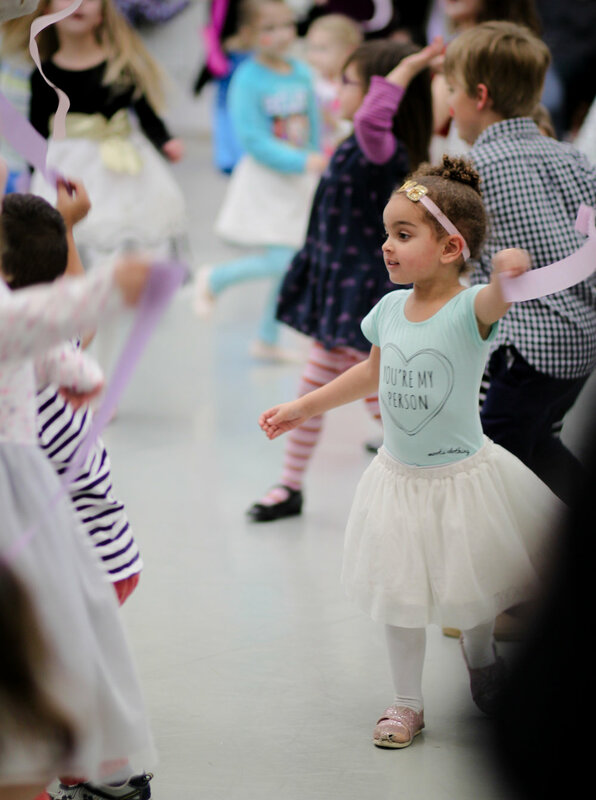 Dance adds something special to a child's personality and I am excited to see where this adventure takes us next.